I was sitting brooding, over the Nyanya bombing and the kidnap of the girls all in one day, and it was such a drowning feeling of profound sadness. Over the years since our graduation from university, my former course-mates and I have built up a very filial friendship which has kept us together. So, naturally, I took my grouse to our family meeting chat room, perhaps a tad too abrasively. So there I was bemoaning the status quo and hoping to stir up some equally abrasive reactions when somehow, the story changed, the carpet swept out from under me. They (or rather, Jedi, one of us) started sharing stories of Jane’s (she was our course rep back in the day) wedding which had held early this month; I hadn’t been able to attend. Eventually I got over being peeved, no in fact, I was dragged out of my pissed mood by the enticing tale and the art with which Jedi spun it. 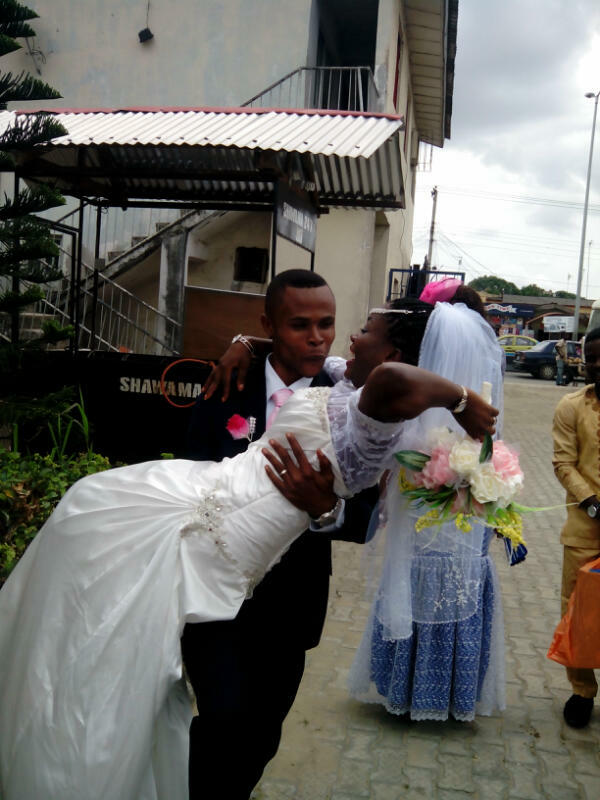 It was a tale of bobo-baby campus love that matured despite societal and stereotypical odds into, in the words of the bride herself, “a match made in heaven and celebrated by men on earth”. Truth be told, the story soothed my pain. It didn’t make much meaning to me at first either, but when it eventually did in the light of recent mishaps, it brought me some peace. Love is sacrifice, it is facing up to reality coated as it is with dust and mire,it is determining to face all the travails down with courage…and love! While we pray and do our individual little bests to save this cranky shambled country of ours, I daresay that those of us who still live must learn to appreciate the love and peace that exists in every other second life affords us. And I hope that this story brings you, like it did me, some healing, peace, love and – yes, I am stretching it here – joy. Engr. Egart, Faithful and Engr. Mrs. Egart, Nnebuogo Jane Faithful (nee Ejezie). ‘…as the vows were read, Jane eye no comot for Faithful face, one can only imagine what she was thinking then oh. “…At the reception, I ceased to concentrate on the couple for two reasons: One, we were all hyped up, friends (my Chemical family) from school sitting together gisting and laughing; Two, item 7 was on the entire time. Drinks were flowing across the table, lots and lots of it – juice, wine, soda, name it! Little pieces of wrapped cake too and all those ajebo ‘small chops’ dem. Then, the buffet commenced. Me I no gree form oh! I downed correct veggie soup with eba! Nnaa, see meat! Apparently Jane learnt a few owambe tricks from Yoruba land. “Then there was this live band, wow! For a moment, I thought they were playing an MP3; they were that good, singing songs of Nigerian artistes almost better than the original singers! “After the speech of the Chairman, our own Dr. Ibe (one of the few student-likable lecturers from uni days), the occasion continued. 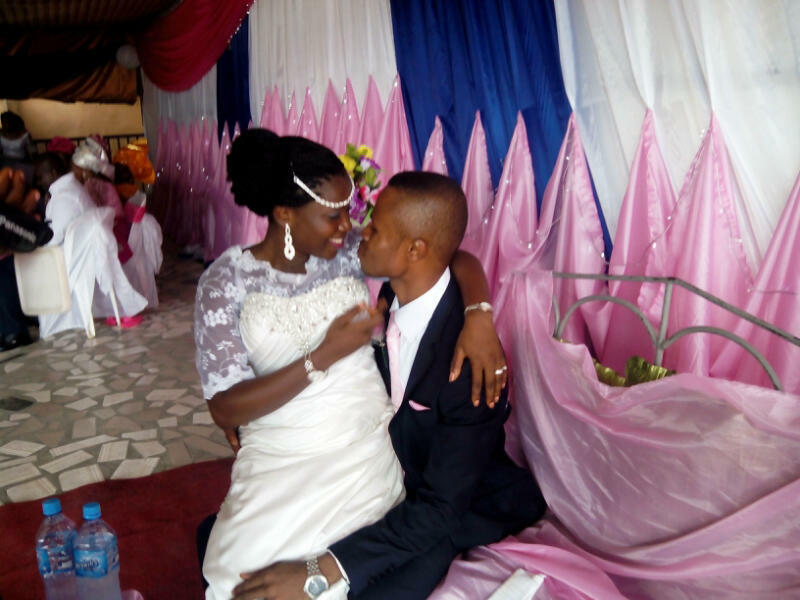 “At some point when it was announced that the couple were both FUTO engineers, a guy (apparently Faithful’s classmate) hailed “Greatest Futoite!” We all responded “Great!” For the first time since after our matric over six years ago, we were proud to be associated with FUTO. People fit don dey envy us that time not knowing the horrible hell wey we been experience for the kain school. “…Jane no gree hear word oh, see dance! We even thought her bobo was a shy dancer until he showed his own skills. They were just so happy together, just dey laugh like small pikin wey person dey totori. “Then there came the part when they had to feed each other…when it got to Jane’s turn to do the feeding, she sat on Faithful’s lap to do it. After that there was some alignment of lips in motion here and there unto say dem dey feel like married grown-up wey fit kiss for public for their Baale and Maale front! Mscheww! I just dey hol myself make I no just try gather morale from them go kiss my wife for my Momsi front on my wedding day. Na beta igbati I go first chop before I go start to pick-pin near her table. “Summarily: Jane’s wedding was perfect. No crowd of people wey no people know, just family and a good chunk of awesome friends; there were no complaints, just joy and good cheer, oh and plenty, plenty drinks and food; did I mention I had a second round on the veggie soup? It must have been Iya basira-made because I am (oh well, was) watching my weight. MAYBE, JUST MAYBE, IF WE GAVE IT A CHANCE…LOVE MIGHT HEAL ALL THINGS. All rights for messing up the syntax and semantic holies of English language; heartless bastardization of pidgin English and any other indigenous languages; exaggeration; cracking of incomprehensible ‘insider’ jokes; invasion and evasion and erosion of privacy; abuse of alma mater; and out-flat misfiring are hereby reserved. Yes indeed, Jessy. Our Chemical family is God-given. Amen. And Thank you. Hahaa! I’m still laughing @ “picking pin near mom”! @ last, my story has been published on a blog! Oh, wait, it has before! Nice one, Martin… Love sure heals, man! So get ready for more stories on the page anytime I need to share some love! For those wey dey serious about breaking head, na the Jedi be this oh. 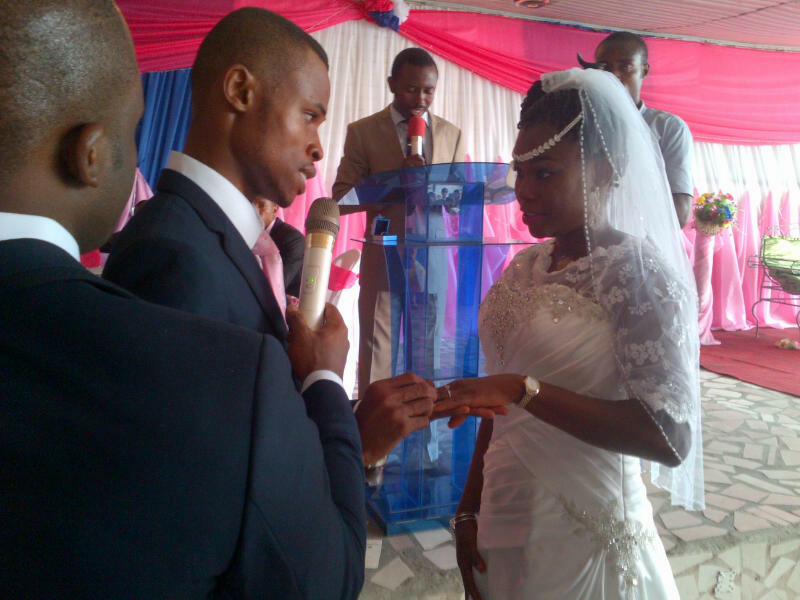 I would ‘properly’ betray him with a kiss…but una know about the 14-yr in kirikiri biz nah so manage finger-pointing. This is a lovely piece. I’m always proud of ur posts n proud to be associated wit u. Thumbs up, bro. Keep the light blazing…. Wow! Thank you, sir Williams. That means a lot! Nice one @Ojukwu. Reading through really gave me a feeling of how graceful it was. Congratulations to the couple, wish you a happy married life. Ojukwu! It’s your turn to tow the line, when are we coming? Thank u, bros. Lmao…una swear for me? Why everybody jus dey ask me the same thing? Una go come when e set oh…make im be once and for all nah. Abi u go like come two times? No! na once. “living the faith ” you remember? Nice 1 bro,lots of creativity indid.Rily enjoyed this! I knew it was Jedi even before you said so. Smh. 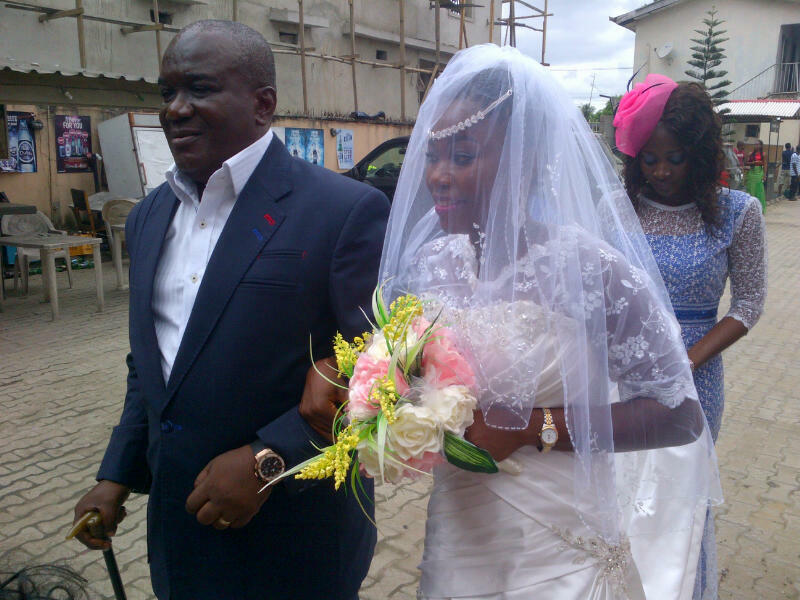 Happy married life Jane!!! I was with you guys in spirit. You did? Hm…well I said it was him before I started the tale, right? 😉 Thanks for stopping by. Yes oh, Jane, we all were. Mr&Mrs Egart…. Happy married life. 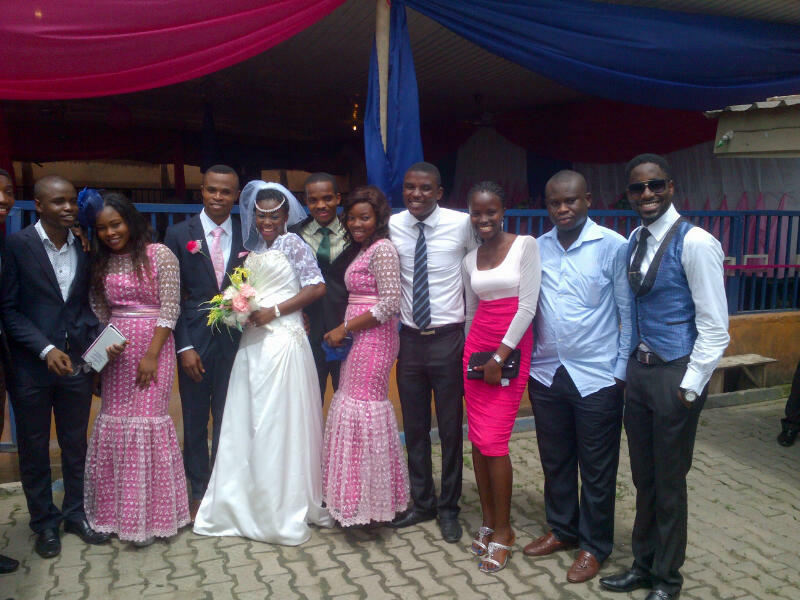 Am so happy d Mrs was one of us, the warhead family. Kept smiling from ear to ear throughout the piece. Actually the smile kept broadening… Nice piece. Lovely wedding too. 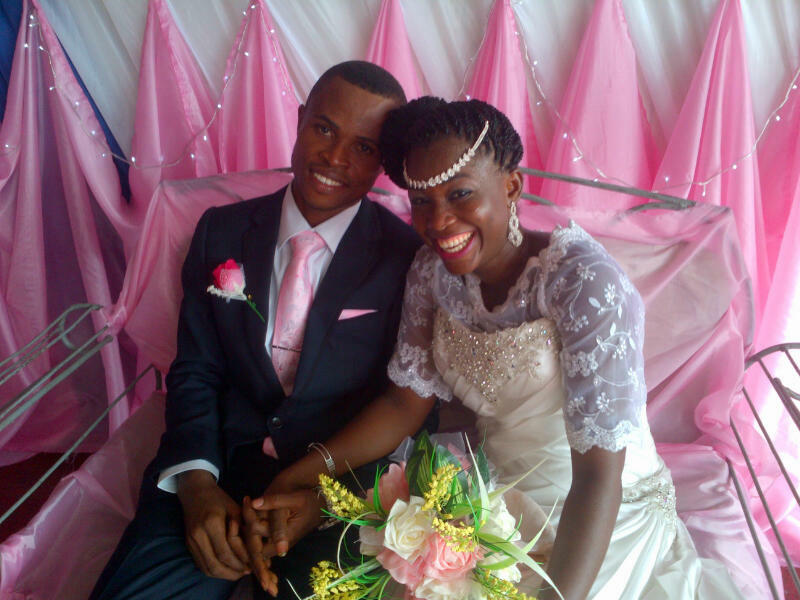 And congrats to Jane and Faithful, wishing you more joys and fulfilment in your years ahead – HML.